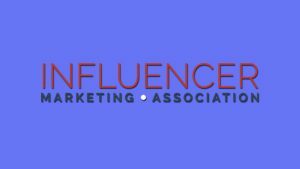 A coalition of pioneering influencer marketing agencies, architects of the influencer marketing industry, announced the formation of the Influencer Marketing Association (IMA), designed to represent brands, agencies, networks and influencers. The national trade association will act as the voice of the industry, providing counsel around influencer marketing trends, measurement standards, transparency guidelines, and best practices for marketers and influencers. In less than a decade, influencer marketing has established itself as an essential component of marketing strategies for companies around the world. In 2017, the industry was valued at $2 billion and is projected to climb to $10 billion by 2020, according to Adweek. In looking at the influx of organisations in the marketing industry, there is no trade or industry organisation solely focused on supporting influencer marketing agencies and practitioners, despite its increasing prominence in recent years. The founding members of IMA identified this need and created the organisation. By acting as a resource to members and the marketing / advertising / PR industry at large, the organisation aims to promote influencer marketing as an integral component of all marketing campaigns. A founding principle of the IMA is that robust technology, including platforms and analytics capabilities, must combine forces with human oversight, leveraging critical thinking, in order to be effective. As with any marketing initiative, influencer marketing needs to be measured to demonstrate value and ROI, however there is currently no industry standard to do so. Therefore, the association is developing industry benchmarking standards in order to determine the effectiveness of influencer campaigns based on audience growth, performance analytics, consumer engagement and campaign reach. The association will also challenge the industry to look beyond engagement numbers, analytics and metrics, and instead consider the value of integrating the human element with technology.